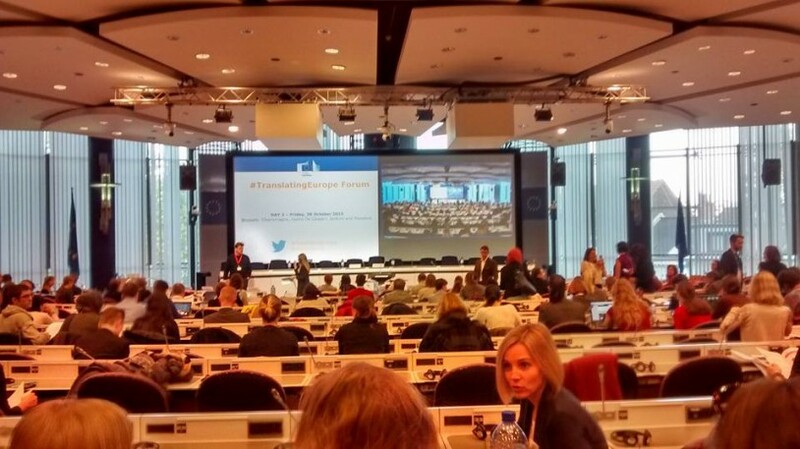 Translatel Ltd took part in the Translating Europe Forum 2015 organized by the European Commission’s Directorate-General for Translation. Because the theme was “All about youth”, the Forum gathered students, mentors, researchers and young entrepreneurs.This year the aim of Translating Europe was to enable young people to share ideas, projects, experiences and innovative approaches in translation-related fields. The program included a variety of plenary debates, poster presentations and workshops. The topics for presentations ranged from translation of video games and multilingual app development to localization at Google, but the main theme was the translation skills gap. During the seminars, the participants discussed the reasons why young translators are often not ready for the labor market after completing their Master’s degree. Oleksandr Bondarenko, the CEO of Translatel Ltd, also shared his vision of the problem. 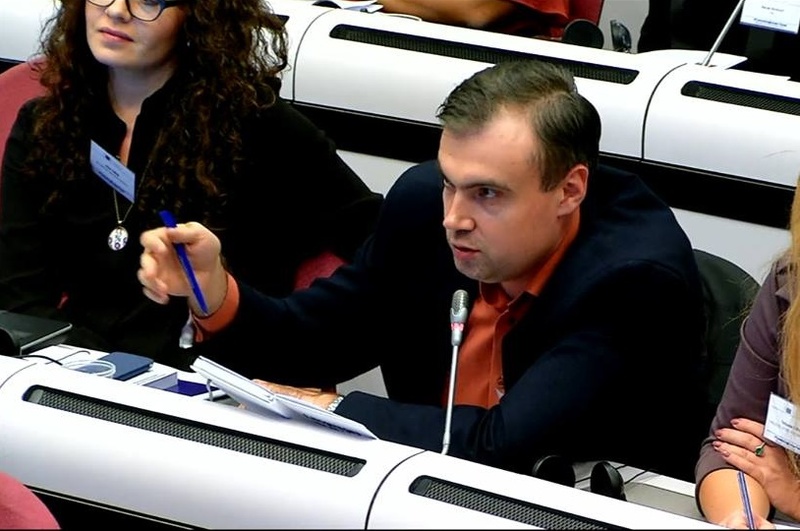 Because the labor market nowadays demands translators to be business-oriented, manage IT tools, and be communicators apart from mastership of languages and translation knowledge, Oleksandr Bondarenko has presented solutions for translators training enhancement that were developed within the scope of Vox Translatorum project activity. During the two days of the Forum, the participants were also able to visit information stands. The Forum was moderated by Xosé Castro, who enriched the presentations with original and smart insights. It was a real pleasure to visit such a well-organized event. Our sincere congratulations to the organizing committee and all the delegates! 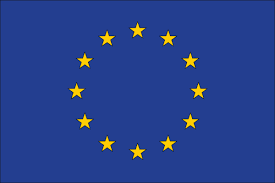 More information about the Forum, including programme, workshop videos and presentations can be found on the Translating Europe Forum website.